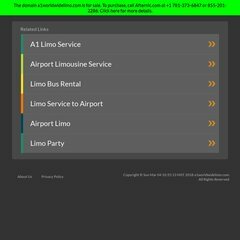 Topics: Limo Services, Fleet, Rates, Quotes/reservations, Faq's, and Policies. On average 5.20 pages are viewed each, by the estimated 257 daily visitors. There are 5 DNS records, such as dns2.name-services.com, dns3.name-services.com, and dns4.name-services.com. Blue Water Networks Nevada is the location of the Apache/2 server. Its IP Number is 66.116.120.145. Its average load time is 1024 milliseconds, which is faster than 73% of websites globally.